Disney announced Monday morning that filming has begun on Star Wars: Episode VIII a with quick clip to reawaken the force in fans. Rey holding out Luke Skywalker’s lightsaber seemed like a passing of the torch from JJ Abrams to Episode VIII director Rian Johnson. Johnson also directed Looper and episodes of Breaking Bad, including the highly acclaimed “Ozymandias” from the final season. Filming has started outside London at Pinewood Studio with principal photography. 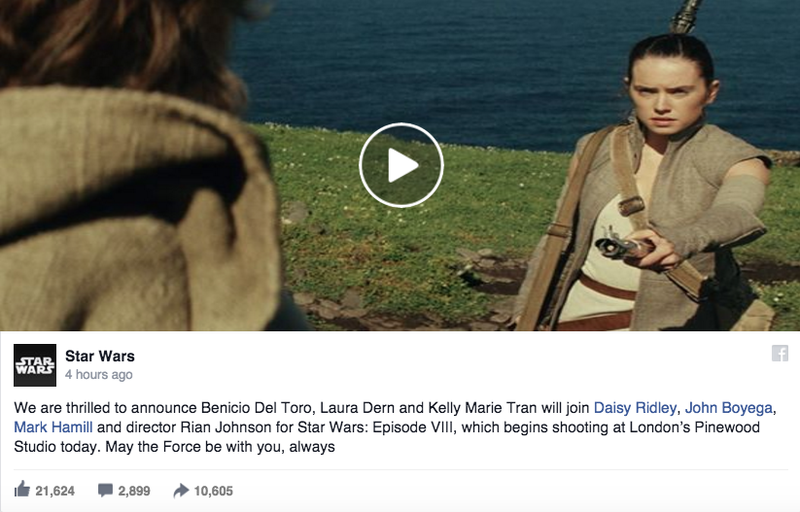 The official Star Wars website also announced the additions of Oscar winner Benicio Del Toro and Oscar nominee Laura Dern to the cast, as well as Kelly Marie Tran.